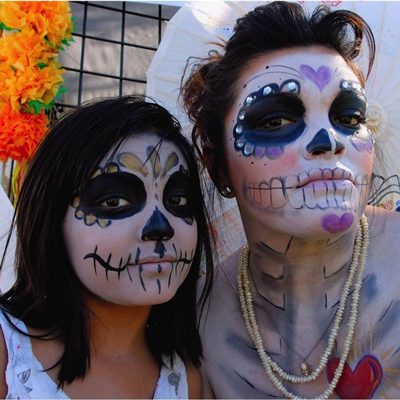 The Festival Mercado showcases some of the best local Latino artists and practitioners of Dia de los Muertos arts, including the Phoenix Fridas, Kathy Murillo, Emily Costello, Borderlands Fridas, Patricia Silva, Sagrado Gallery, Oaxaca Imports and more. Parking is at a premium this year. 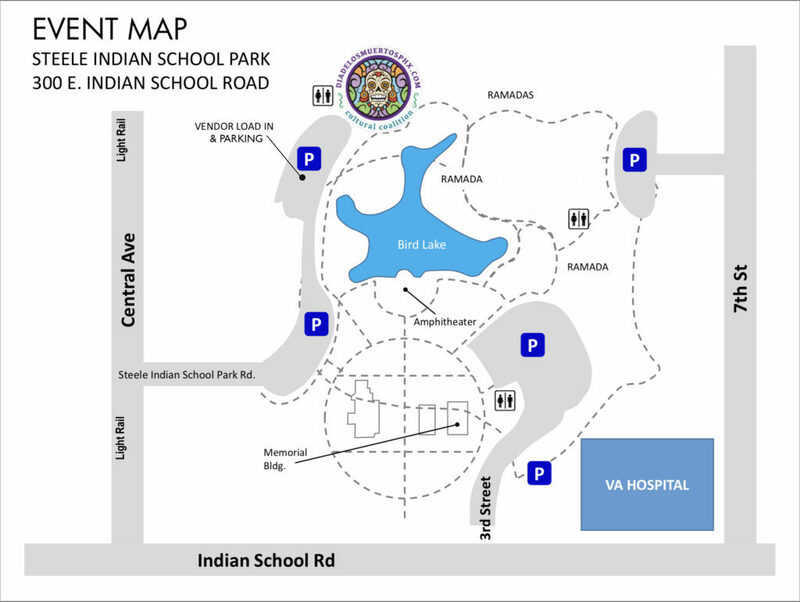 You can skip the stress of parking by using the light rail (the Indian School stop is just a few steps away from the park), but if you absolutely must drive over, you will not be able to park near the festival grounds. 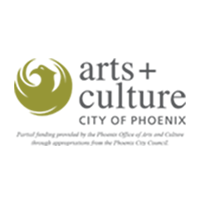 parking is available in the other 3 parking lots (Click here for a map) or for a $5 fee at nearby 4041 North Central. 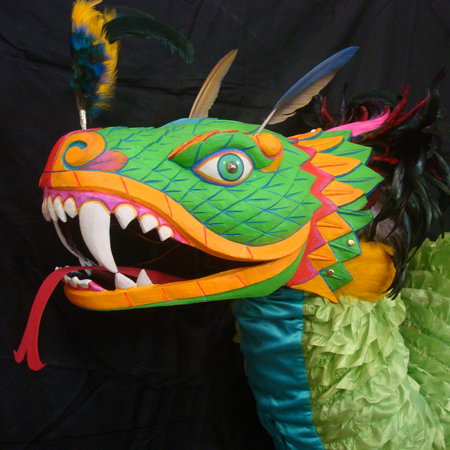 Quetzalcoatl will once again be ready to take flight, heading the procession at sunset. An audience favorite, La Llorona will be in attendance. Children beware! Larger than life, the Flacas will be roaming the festival, looking for a willing dance partner. Together we'll celebrate our traditions and remember our loved ones who have moved into the afterlife. 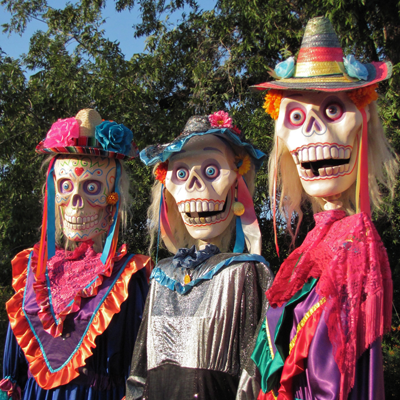 Dia de los Muertos is a highly celebrated and significant family holiday throughout Mexico, Latin America and the Southwest. Dating back 3,000 years to the time of the Olmecs, it is a day when homage is paid to our ancestors with prayers, offerings of food, and the building of altars to the beloved departed. Each region has its unique style of celebration. 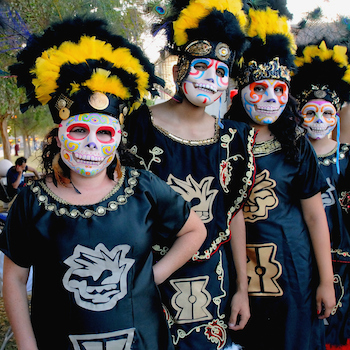 In Arizona, the annual Dia de los Muertos is a Celebration of Life. Just bring your family, sun-protection, a blanket or umbrella to make yourself comfortable on the grass. 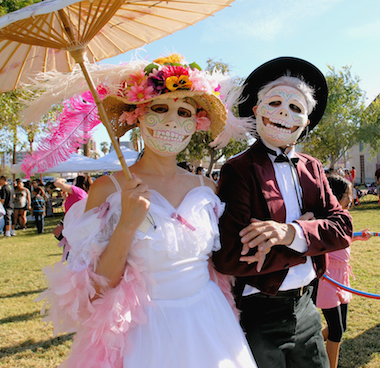 The festival admission is free, but you may also want to bring some cash since there will be a variety of food vendors and an Artist Mercado, selling their Dia de los Muertos themed creations. La Procesión is a celebratory procession in which the audience joins the performers in a candlelit, joyful burst of music, dance and remembrance. This audience favorite concludes with a minute of silence as the sun goes down in homage to those who have gone before us ~ our dearly departed. 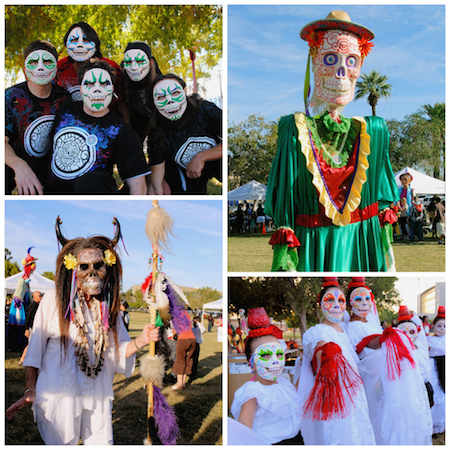 How long have you been celebrating Día de los Muertos in Arizona? 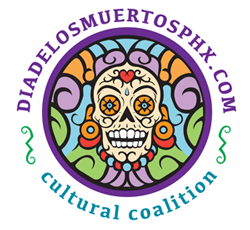 For the past 33 years, the founding members of Cultural Coalition have been programming Dia de los Muertos activities in Maricopa County. We are proud to utilize the arts to reflect the unique Southwestern expression of this tradition. 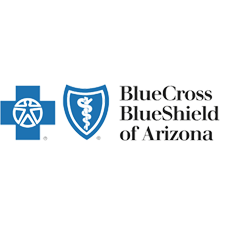 Our celebrations have taken place all over the Valley, but we hope the festival has found its permanent home in downtown Phoenix. How can I be a part of the festival? 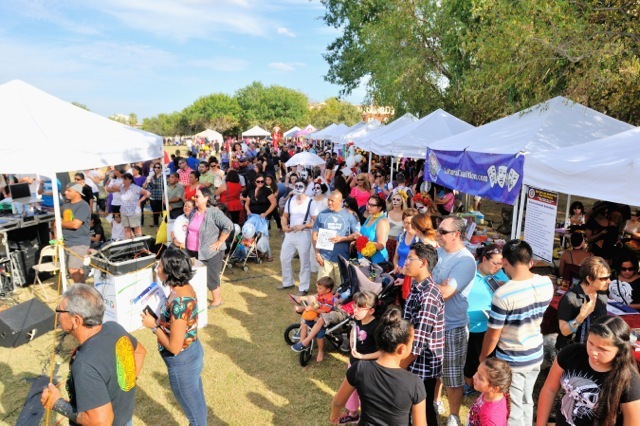 The festival is free and open to the public, so just come down with your family, enjoy the performances, and be a part of the art activities and La Procesión. If you're an Artist or a Vendor, you can apply to join the Mercado. 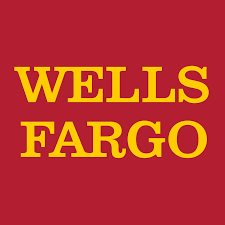 And finally, if you're feeling like giving back to your community, you could become even more involved and check out our Volunteer Opportunities. 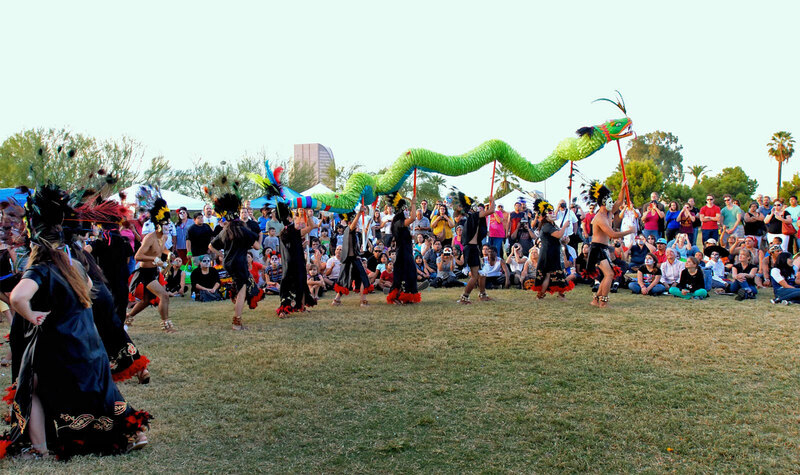 No matter what, you're bound to have an enjoyable day surrounded by your fellow Phoenicians in an unforgettable celebration of our multicultural heritage and of life itself! As part of the festival, we are pleased to present an Artist Mercado featuring the work of local artists, all focused on Dia de Los Muertos theme. This is a curated event with only 15 artists allowed. 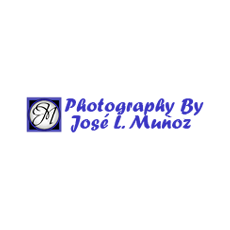 All artist/vendors must submit examples of their artwork before being accepted. Select food vendors and community informational booths will also be present. In our determination to keep the festival free and open to the public, we are enlisting the help of our community to support festival activities. Our dedicated volunteers from last year were busy but also had lots of fun and described it as a rewarding and extremely social experience. Please join us! 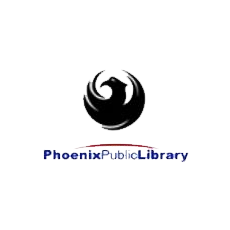 Check out our volunteer opportunities by downloading the PDF below. 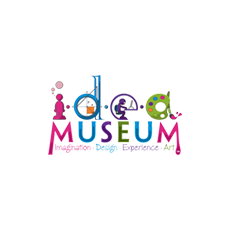 If you find a position that suits you, please email carmen@culturalcoalition.com with your contact info and your preferred volunteer opportunity. 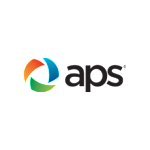 Thank you for considering a volunteer position with us! 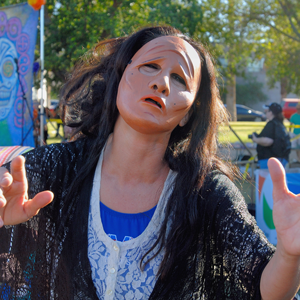 The Dia de los Muertos Phx Festival is interactive, multi-generational, and participatory. Free and open to the public, all families are welcomed. The festival aims to instill a sense of history, pride and knowledge about our multicultural roots to the community at large. 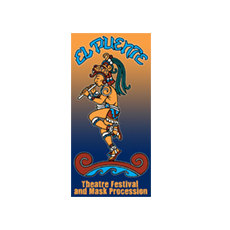 Presented by Cultural Coalition, the festival features hundreds of masked entertainers with performances in music, dance and theater to honor our ancestors and celebrate our heritage and traditions. A gathering of artists and families. Food available to purchase. Our creative modern adaptations of ancient customs such as La Mascarada, La Visita, The Flight of Quetzalcoatl, and Las Coronas, promote our multicultural heritage while preserving our traditions. 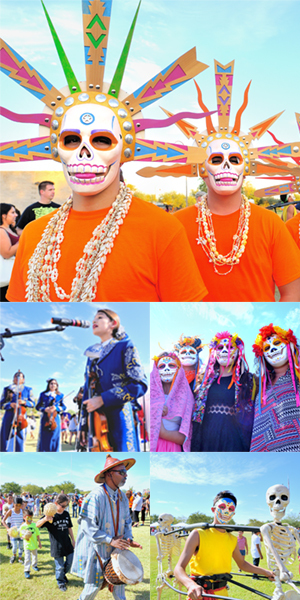 The 8th Annual Dia de Los Muertos Phx Festival will take place on Sunday, October 27, 2019 from 1:30 pm to 7 pm at Steele Indian School Park (on 3rd Street and Indian School Rd) in Phoenix, AZ. 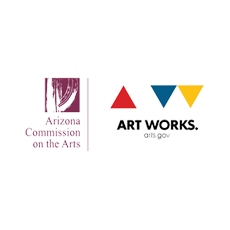 The Artists Mercado features some of Arizona's best local artists. There will also be food booths, kids arts activities and of course, and the traditional Candlelight Procesión at 5:15 pm. 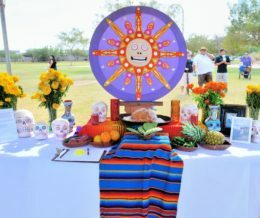 We also provide a Community Altar. Bring a picture (no originals) or memento to place on it. It is a memorable community event! 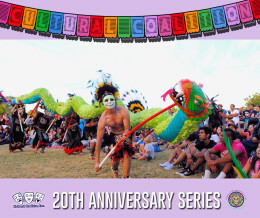 Cultural Coalition, Inc. is a 501(c)(3) nonprofit arts organization since 1996 whose mission is to foster community engagement and provide unique cultural programs in Arizona. 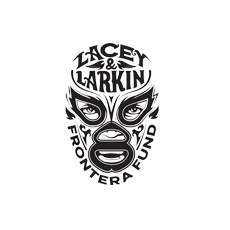 Under the leadership of Zarco and Carmen Guerrero, the Coalition has been organizing Día de los Muertos programming and activities for over 30 years throughout the state. 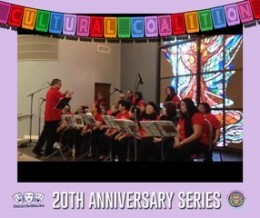 Our goal is to celebrate the Indo-Latino community with a culturally relevant, family friendly program that address our diverse cultural experiences and traditions, while fostering innovative and original performances. 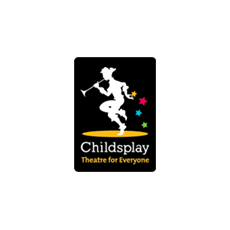 We also strive to increase accessibility, build new audiences, encourage new partnerships, and promote and celebrate the richness of our Latino cultural offerings through a variety of performances, festivals, special events and educational programs.